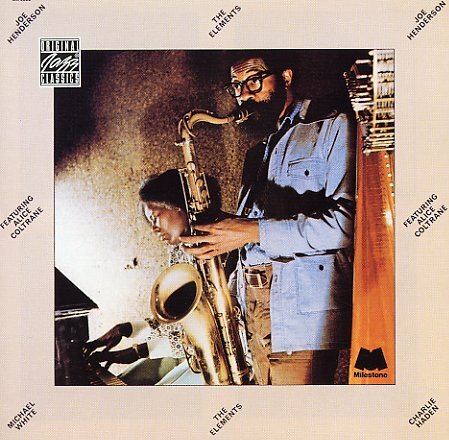 One of the greatest Joe Henderson albums of the 70s – a suite of tracks dedicated to the four elements – and served up with some great accompaniment from Alice Coltrane! The style here is a wonderful mix of Coltrane's spirituality and Henderson's down-to-earth soulfulness – in a style that recalls some of the best moments on Coltrane's sublime Ptah The El Daoud album – a set in which Henderson's tenor was a key part. At times, Joe blows with a bit of Coltrane-like searching – but at others, he's bringing up more of a rhythmic pulse that really gives Alice a great focus – using her piano, harp, and harmonium alongside bass by Charlie Haden, violin from Michael White, and percussion from Ndugu Chancler and Baba Daru Oshu. Titles are named after the four elements – "Fire", "Air", "Water", and "Earth". © 1996-2019, Dusty Groove, Inc.